LARKSPUR, Calif. — Sweden-based Aventure AB with its U.S. subsidiary Good Idea Inc. have taken an entirely new approach to healthy eating. Good Idea’s flavored sparkling water contains a proprietary blend of five amino acids and chromium that is scientifically proven to reduce the post-meal blood glucose response by 25%, on average. The company’s goal is to replace the sugary sodas and make it easier for people to adopt a healthy lifestyle. There is a well-known and scientifically established connection between recurring blood glucose spikes from unhealthy eating and the low-grade inflammation that is a common factor in lifestyle-related diseases such as type 2 diabetes, cardiovascular disease and dementia. Unfortunately, the meals and drinks that cause the blood sugar to spike are also among the most popular with the U.S. public. Convincing people to stay away from fast food like burgers, pizzas, fries and white bread sandwiches seems to be a mission impossible. Also, washing down the fast carbs with sugary sodas and energy drinks certainly doesn’t make things better. So Good Idea took a new grip by including proven functional properties in a product that fits well into established lifestyle patterns and is easy for people to embrace — a flavored sparkling water with a unique and functional formula. 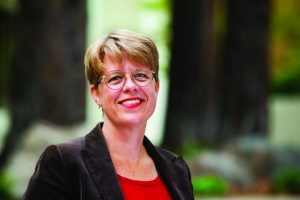 The idea behind Good Idea was born when Ostman and her colleagues at the Food for Health Science Centre at Lund University in southern Sweden could establish the connection between the consumption of dairy and a relatively high insulin response. They found that the intake of whey before and with a meal rich in fast carbohydrates could substantially lower the blood sugar spike following a meal. The presence of five specific essential amino acids appeared to be significant. Repeated meal studies confirmed that the effect on insulin and glucose response from whey could be mimicked by serving a drink containing a proportion of the five essential amino acids before and with the meal. As an additional development of the concept, a small quantity of chromium (CrPic) was added. It was hypothesized that the combination of amino acids and chromium would have a synergistic effect that would further improve the impact on blood sugar rise. A line of lightly flavored, sparkling waters was developed in collaboration with Aventure. The concept has since been evaluated in a series of double-blind, placebo-controlled meal studies. The results consistently reflect a typical reduction of 25% to 30% in blood sugar rise following a carb-rich meal, compared to placebo. Good Idea is currently available on Amazon, on the company website, and at a growing number of retailers, mainly in Northern California. More information can be found at goodideadrinks.com.